From Inside will be screening at this year's Fest Anča, International Animation Festival in Slovakia. 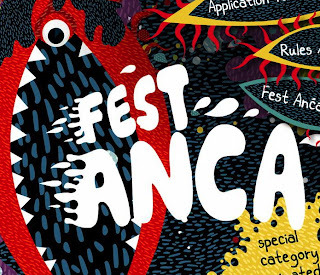 That link is to the archive of last year's Fest Anca. Check it out. Awesome festival. Wish I could experience the Animation Karaoke Battle that would accompany From Inside... ie: a headless horse galloping back and forth with rider wearing a GaGa meat suit... scored with feedback. GO.